Nathan Silver’s Stinking Heaven is the story of married couple Jim and Lucy) running a commune in the early 90’s for sober living out of their suburban New Jersey home. The motley members eat, bathe and work together selling homemade “health tea” out of their van. Although there’s constant bickering and plenty of fires to be put out, Jim and Lucy have managed to establish a haven for these outcasts. But the harmony is interrupted when Ann (Hannah Gross), a recovering addict and the ex-lover of one housemate, arrives. Ann’s insidious presence sends the members spiraling out of control, resulting in paranoia, drug relapse and eventually death. Director Silver has written and directed four short films and five feature films: THE BLIND (2009), EXIT ELENA (2012), SOFT IN THE HEAD (2013), UNCERTAIN TERMS (2014), and STINKING HEAVEN (2015). His films have played in festivals around the world, including Viennale, Vancouver, Melbourne, Slamdance, Sarasota, Torino, Munich, and venues including MoMA and the Film Society of Lincoln Center. Filmmaker Magazine named Silver “one of the most interesting emerging directors in U.S. indie film.” Director and writer Nathan Silver stops by for a conversation his emotionally wrenching gem of cinema-verite. From BAFTA Award-winning director Asif Kapadia (SENNA), AMY tells the incredible story of six-time Grammy-winner Amy Winehouse – in her own words. Featuring extensive unseen archival footage and previously unheard tracks, this strikingly modern, moving and vital film shines a light on our culture and the world we live in today. A once-in-a-generation talent, Amy Winehouse was a musician that captured the world’s attention with her unforgettable voice and charisma. A pure jazz artist in the most authentic sense, Amy poured her heart and soul into her music, expressing personal struggles and pain through her intimate lyrics. The combination of her raw honesty and virtuosity resulted in some of the most unique and adored songs of our time. Amy became an international sensation, experiencing a meteoric rise to fame she had never sought nor expected. The relentless and invasive media attention, coupled with Amy’s troubled relationships and addictions, led her into a tragic cycle of self-destruction, resulting in her untimely death at age 27. The film invites audiences to remember and celebrate Amy as a brilliant artist while asking ourselves how it was that we watched her disappear in front of our eyes. Director Kapadia joins us for a conversation on his powerful and at times, heartbreaking documentary about a brilliant singer, songwriter and artist. For a fifth consecutive December, a heartbroken Noel returns to New York City to work the night shift at a sidewalk Christmas tree lot. 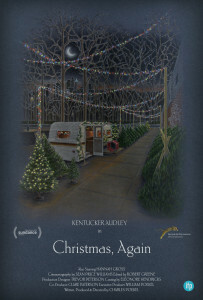 Devoid of any holiday spirit, he struggles to stay awake during the long, chilly nights in his trailer, while the daytime traffic keeps him from getting any real rest. As he slowly spirals into despair, he comes to the aid of a mysterious young woman in the park. Her warming presence, matched with some colorful customers, help rescue him from self-destruction. Director, writer and producer Charles Poekel stops by for a conversation on his lyrical, redemptive film about a man finding a unique take on a holiday tale. 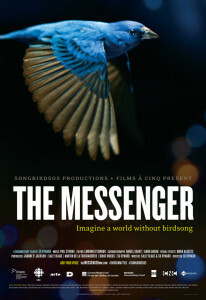 Su Rynard’s wide-ranging and contemplative documentary THE MESSENGER explores our deep-seated connection to birds and warns that the uncertain fate of songbirds might mirror our own. Moving from the northern reaches of the Boreal Forest to the base of Mount Ararat in Turkey to the streets of New York, THE MESSENGER brings us face-to-face with a remarkable variety of human-made perils that have devastated thrushes, warblers, orioles, tanagers, grosbeaks and many other airborne music-makers. On one level, THE MESSENGER is an engaging, visually stunning, emotional journey, one that mixes its elegiac message with hopeful notes and unique glances into the influence of songbirds on our own expressions of the soul. On another level, THE MESSENGER is the artful story about the mass depletion of songbirds on multiple continents, and about those who are working to turn the tide. In ancient times humans looked to the flight and songs of birds to protect the future. Today once again, birds have something to tell us. Director Su Rynard joins us to talk about her loving ode to nature’s minstrels.